In 2018, economic growth is expected to remain above 2%, sustained by domestic and international demand. The momentum is forecast to slow down in 2019. 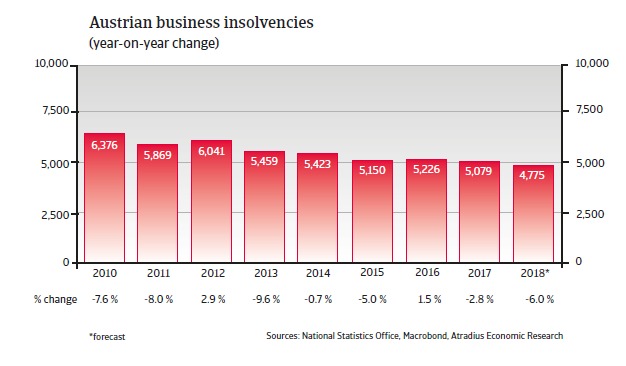 After decreasing three years in a row, Austrian business insolvencies increased by 1.5% in 2016. 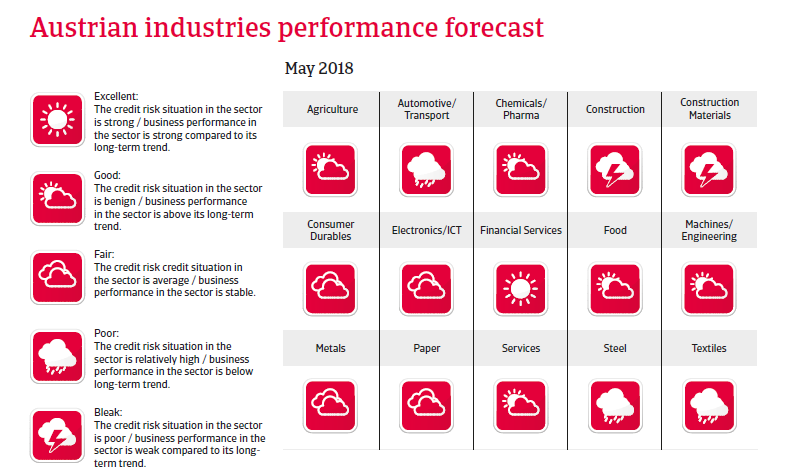 In 2017, accelerated economic growth led to a decrease of 3%, and business failures are expected to decline further in 2018. 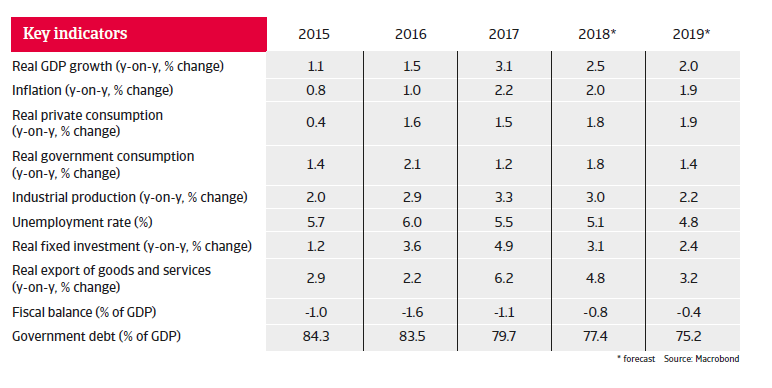 Austrian GDP growth accelerated to more than 3% in 2017, mainly fuelled by robust growth in investments and exports. Private consumption growth is sustained by decreasing unemployment and improved consumer confidence. In 2018, economic growth is expected to remain above 2%, sustained by domestic and international demand. Growth momentum is forecast to slow down somewhat in 2019. The indebtedness of the non-financial private sector remains moderate compared to that of other advanced countries. However, the banking sector has a big exposure to countries in Central and Eastern Europe. Among the Western European countries surveyed, respondents in Switzerland reported late payments most frequently (domestic: 97.0%; foreign: 93.9%).